This blog comes from Jake Dooris. 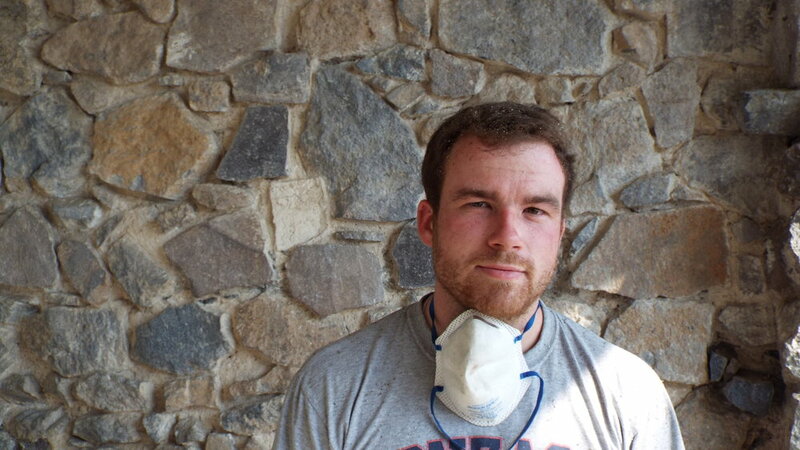 He recently visited his brother Reilly, a First Things Foundation field worker in Guatemala. Reilly would ask me this everyday before we got to work. It is Spanish for “Ready”. I’d sigh from my bed, still bleary eyed and barely awake, and would eventually manage a “Yeah, listo.” During my short stay with FTF in Guatemala I found myself responding to the question with a mixture of apprehension and exhaustion. You see, Guatemala is not a forgiving place – at least the Guatemala I know. Reilly has a good 45 minute hike into town to find food, and getting clean drinking water is an ordeal that involves heavy five gallon jugs and an adventurous kayak trip on the often choppy lake. The FTF house (although slowly improving) is shabby at best – no doors, missing windows, and sparsely furnished. Getting to work requires hiking up a mountain to the orphanage and monastery, or kayaking across the lake to an aquaponics project. What I’m trying to illustrate is that things here are hard. Just getting food and water is hard. Living is hard. This is the Guatemala that I know. So when Reilly was asking, “Listo?” he wasn’t really asking if I was ready to go. He was asking if I was ready for the 4am wake-up every morning; if I was ready for the trek up the mountain side to the orphanage in the predawn chill; he was asking if I was ready to talk to the locals with my nonexistent Spanish; if I was ready for the bugs – the cockroaches, spiders, scorpions, mosquitoes – everywhere, in everything; if I was ready for the three mile walk into town just to find food, or the late afternoon thunderstorms, or the long hours painting the house. He was asking if I was ready for Guatemala. Reilly will tell you that the program in Guatemala is still in its infancy – what he calls the immersion phase. One of the primary goals of this period is to fully immerse oneself in the culture and the language so that later entrepreneurial development projects can be understood and implemented with the insight of a local. If their end goal is to make lives better through local businesses, this is the kind of “precursor” step to that. But after spending every waking moment with Reilly and watching how he interacted with those around him, how he learned through humility and worked alongside his friends at the monastery and orphanage, one thing was clear: he was already making lives better, even if he didn’t realize it. Every time he saw Maco on the monastery grounds he’d be greeted with a huge smile. Every time he walked past a classroom the orphans would shout his name and come out to see him. He was a friend to those around him, and in a many cases something more like a family member. It was this thought that greeted me every morning well before the sun rose. So when I mumbled to Reilly, “Yeah, listo,” I was exhausted and angry at the world for being awake so early – but I also felt a strange sense of eagerness to begin, to see what we could make of the day, to prove to ourselves that yes, we were ready. Help us help others by joining our 20 for 20 campaign. $20 a month puts real assets into real hands in order to make lasting change.